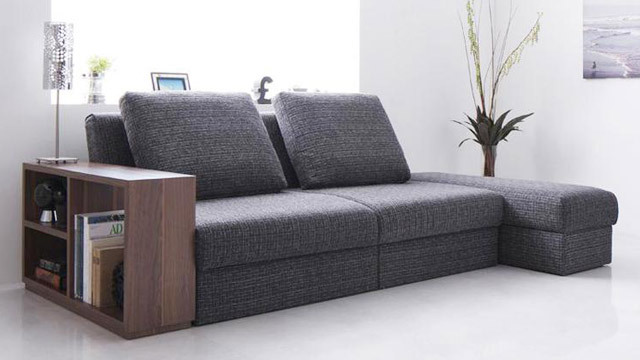 Why we love it: This piece hits three birds with one stone with a built-in shelving unit in addition to its sofa/bed functions. Moreover, it has a clean silhouette that allows it to anchor a space minus the overly bulky vibe. Just add a few accent pieces to give it a personal touch. The neutral gray fabric can easily hold its own as the backdrop for any form of sprucing up you’ve got in mind. Where to place it: If you own a studio unit and wouldn’t mind the mini workout that transforming the Malmstad from sofa to bed (and back again) entails, this might just be the piece for you. Why we love it: We are particularly impressed by how this table serves up both flexibility and functionality in all its beautiful classic-Scandinavian birch-finished glory. 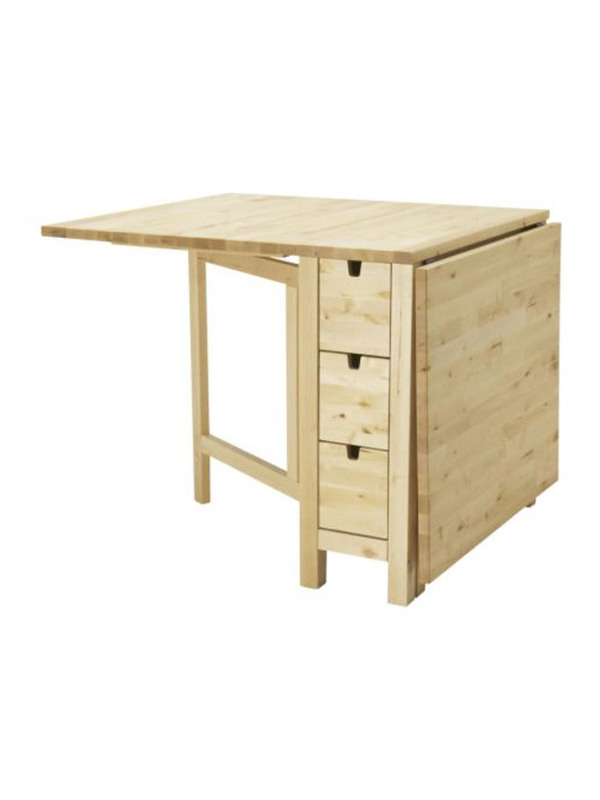 It has six drawers for storage of cutlery, napkins, or condiments that form the stand of the fixed middle section of the table. Drop-leaves on either side of this fixed section make the table adjustable for seating two to four people at a time. Where to place it: The dining or kitchen area would be the perfect spot for this piece, but we think it would work just as well as a study desk! Your space, your call. 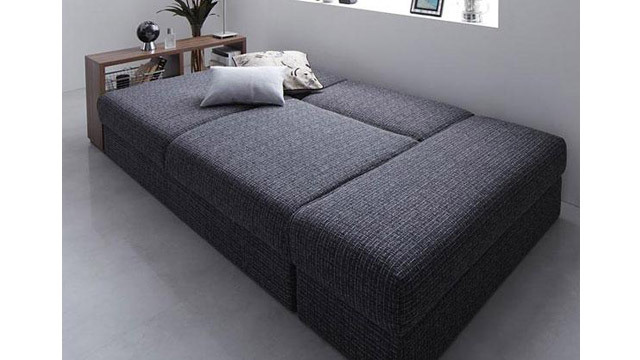 Why we love it: If a Swiss Knife transformed into a bed, the twin size Spazz bed would probably be the byproduct. It has a clean modern form that makes it versatile for any design style, but that isn’t the best thing about it. 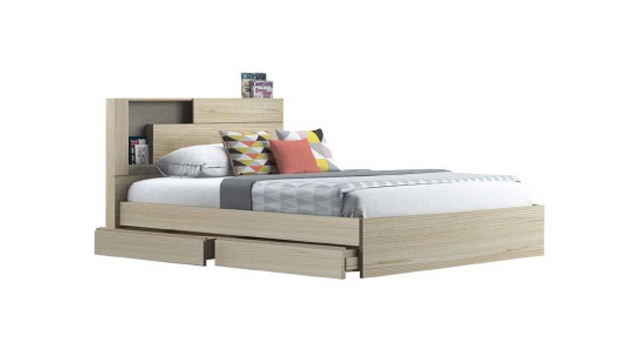 This bed has multiple drawers (and we know that surprise storage is always ALWAYS a plus for tiny spaces), built-in LED lights, as well as electrical sockets all neatly hidden away beneath the cozy wood veneers. Need we say more? Where to place it: Transform your bedroom with this one-of-a-kind piece. Since it has multiple compartments, you can have your books, gadgets, and other essentials within reach. Remember to keep clutter at bay by keeping your drawers organized. Why we love it: It’s always fun to expect one thing and then find yourself oohing at something entirely unexpected. Take this storage unit for instance. 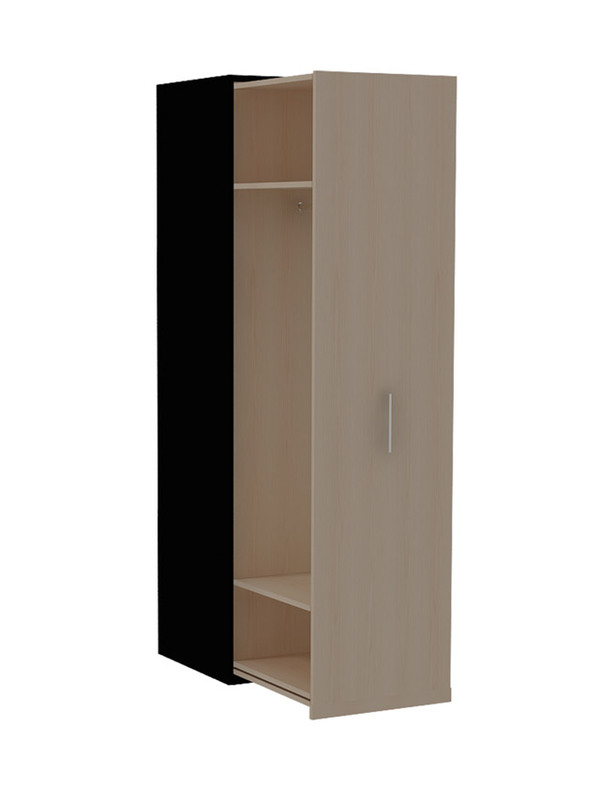 On the outside, it looks like your average cabinet, but as soon as you pull that handle, you’re in for a treat. The Colette pulls out to reveal vertical storage (perpendicular to the wall). A bonus? Being able to access your clothes from either side of the rack—now there’s a good way to marry efficiency and convenience, if we do say so ourselves. Where to place it: Anywhere you please, really. 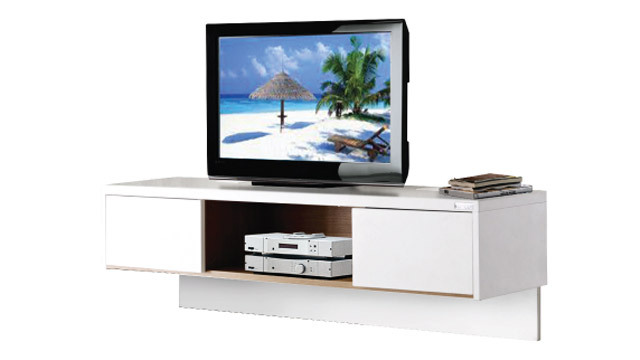 The cabinet is designed such that it is easily adaptable to any space. Get multiple units and line them up alongside each other for maximum storage potential. Why we love it: Are you one of those people who can’t help but take their work to bed? It’s been said that your bed is sacred and should thus be used only for sleeping, but sometimes, working into the wee hours of the morning is more bearable when done in bed. It still doesn’t make it a healthy habit though, and if you’re up for kicking that bad habit out the door, then this piece might just be the answer. 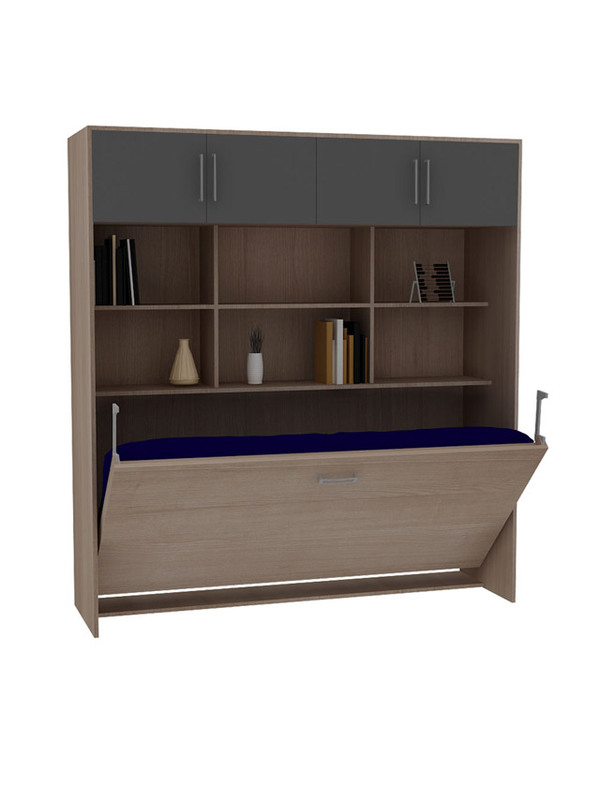 The Blair is a modular unit that has your bed transforming into your study table and vice versa. 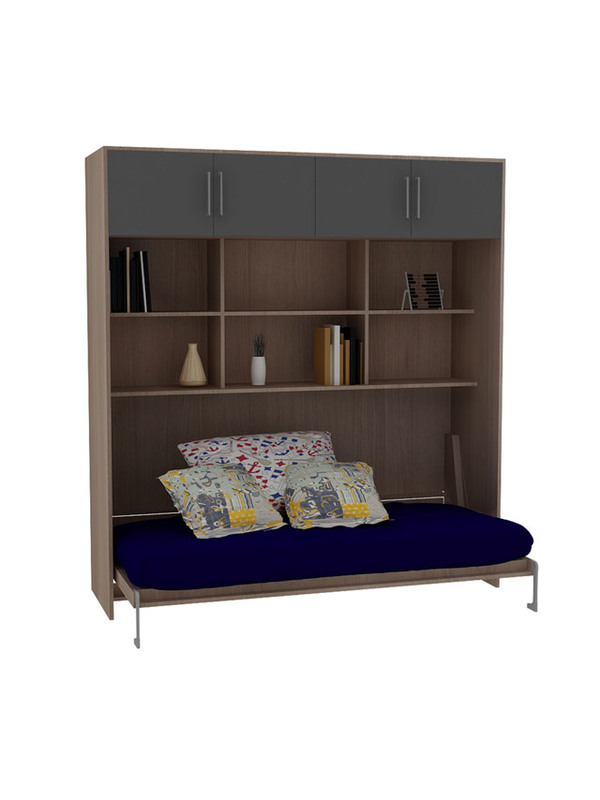 It also comes with open shelving and cabinet storage that remain fixed whether you’re on work mode or sleep mode, so you don’t have to worry about having to move everything around. The bed may also function as a daybed for when you have guests over or when you feel like lounging around for a lazy hour or two. A triple win situation! Where to place it: Ideally in a studio unit—especially if you're working with a tight floor area. 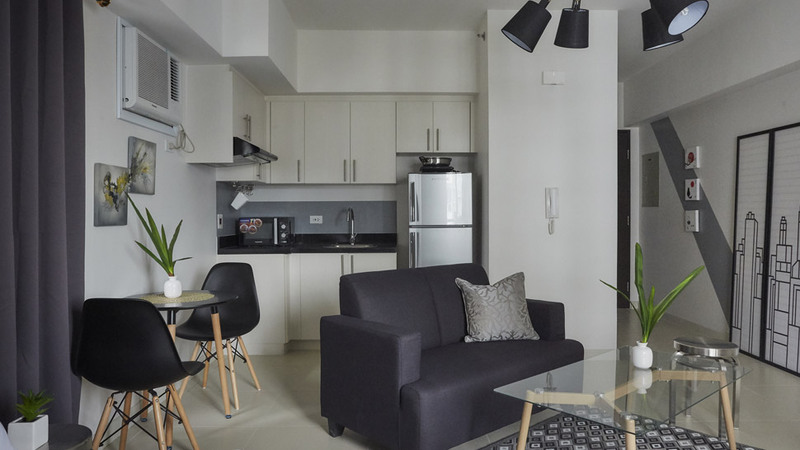 With this piece, we're sure you can live comfortably and efficiently. Why we love it: A popular trick for creating the illusion of a bigger floor area is by maximizing the use of your wall area. If it can go on the wall, then have it go on the wall. This last (but far from the least) item on our list is a fine example of how to apply this trick. The Urbani hanging sideboard functions as a built-in entertainment system and is ideal for smaller spaces because it takes some of the bulkier items (i.e. entertainment console) off of the floor. Moreover, it saves you from having to hire someone to customize the built-in for a potentially higher price tag. This item gives you the option of savings for both cost and time. Not a bad deal at all! Where to place it: Either the living room, the bedroom, or if you’re feeling extra adventurous, both!